SPOILER ALERT : This article may contain pretty pictures and things you already know! Russia; a country of which many travellers are still wary of. And since my arrival many of the stereotypes that exist in the western media are very much in evidence; the sullen expression on many peoples’ faces, the unwillingness to offer good or even quick service to English speaking visitors whom they assume are American, etc. But would I recommend my best friend to come to Russia? The answer has to be a resounding “yes” or “да”. Despite the above, people are respectful and there is none of the jostling or rushing of most ‘civilised western’ cities. Cars halt whilst you cross the road and obey traffic lights; young people offer their seat on the metro to elderly western visitors; etc. 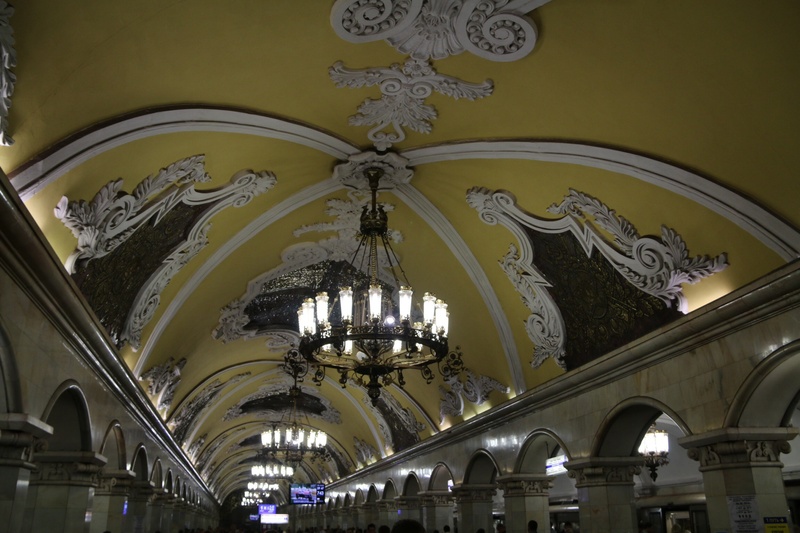 The metro in both Moscow and St. Petersburg are clean and efficient, running every 60 seconds at peak time; with the Moscow service offering free wifi for commuters who may have a 90 minute journey (please take note TfL). Yes, I was nearly robbed in St Petersburg, but one runs that danger in every major city of the world. The food is excellent, and that includes borsch, a beetroot soup. There is plenty of choice, from gastro dining to street food; and prices are reasonable. 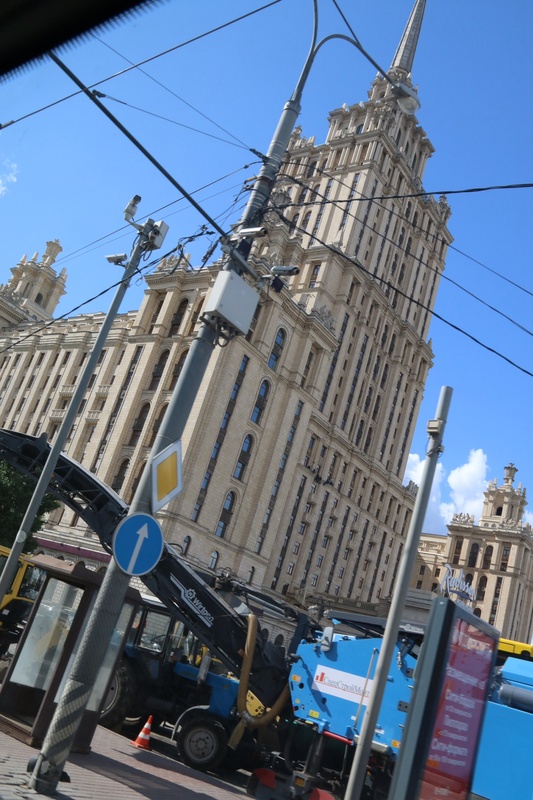 Russia is not yet set up for business, in the tourism stakes at least. There is little signage in English (though I honestly can’t ever remember seeing a Russian language sign in St James’ Park, London), and many service staff have no grasp of the English language. In that sense Russia is still a closed shop. But that will change as it’s service industry cannot survive on domestic tourism alone. The world famous sights that do exist are excellent. Red Square is not called so because of communism or the old colour of the Russian flag. In fact it’s naming predates the revolution of 1917. ‘Red’ in this instance is the anglosizing of the Russian word for ‘beautiful’. 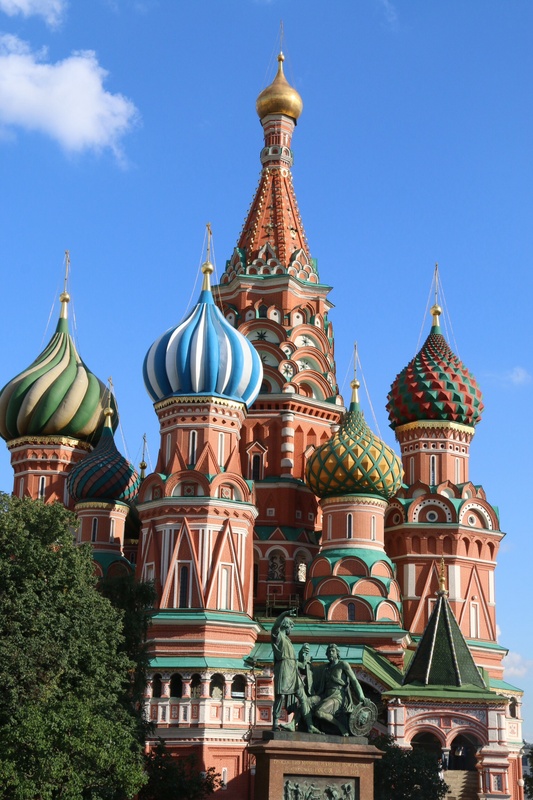 Admittedly the red walls of the Kremlin were changed from the original colour of white. 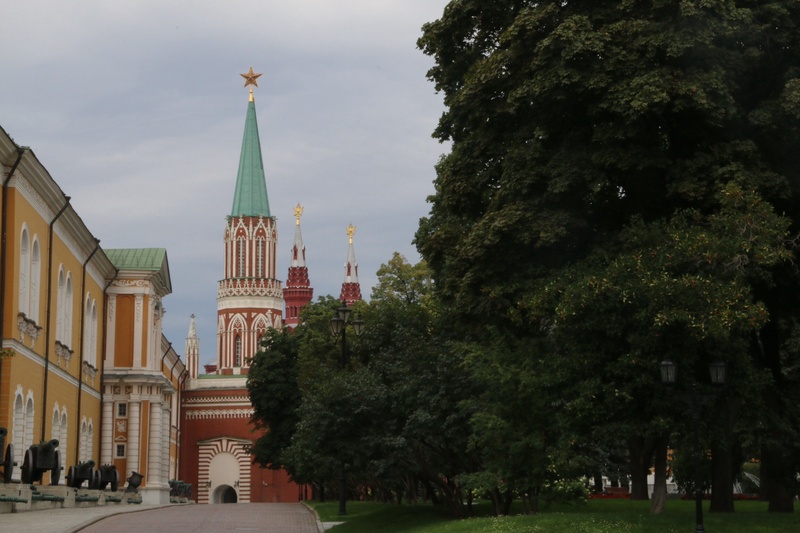 The Kremlin is of course one of many across Russia, with the name meaning ‘fortress’ or ‘stronghold’. 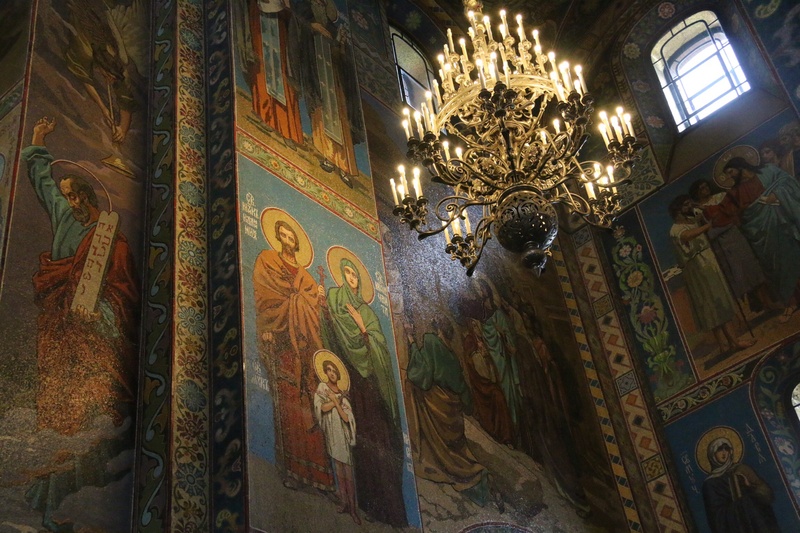 Inside the Kremlin are churches, lawns, etc. ; all open to the public. 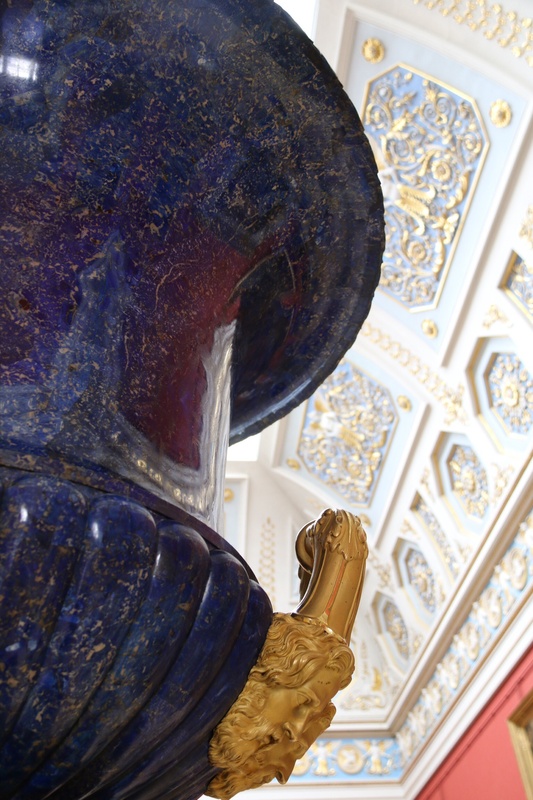 The Armoury is a must see with everything from Czarist days including carriages, clothes, gold and silver gifts from visiting royalty, and Faberge eggs. Whilst Moscow was good, St. Petersburg was better. More to see than anyone can do justice to over a weekend, it is more relaxed than it’s capital brother. Most sights are easily walkable. The Hermitage has a world renown collection of art works; and for those with a more eclectic taste, the Kunstkamera has something for most. 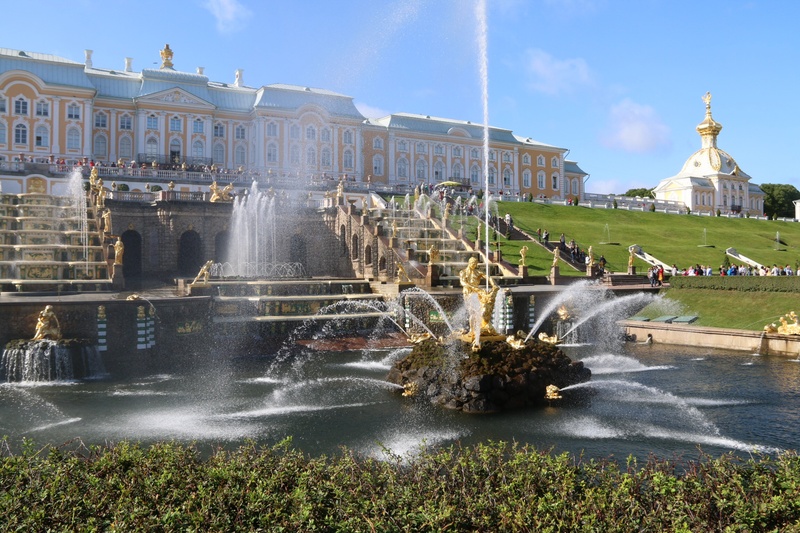 Though the jewel in the crown is a bus ride away at Peterhof, the palatial residence of the czars. It’s gardens are a joy to wonder around. Some wonderful photos Richard and I am very envious, wish we were there too!